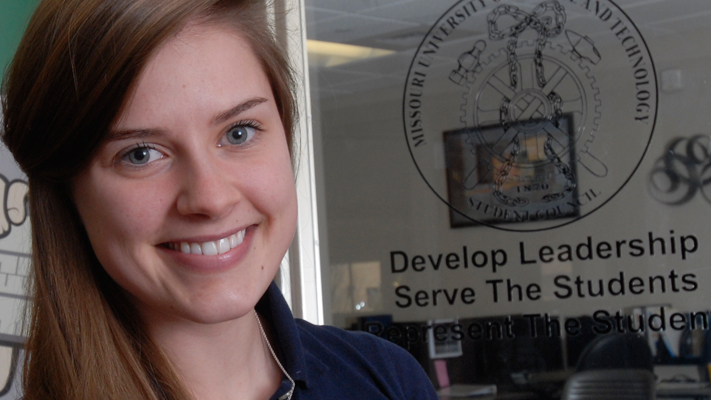 Senior Ashley Koesterer will graduate this spring with two degrees in three years. Photo by B.A. Rupert. Not every student could handle taking 18 credit hours, serving as student body president, playing intramural sports and being involved in Greek life. But Ashley Koesterer, a senior in business and management systems and economics with a minor in information science and technology, has no trouble doing all of this and then some.